Ever had the feeling when you come across a profound truth and realised it was so simple? Yet so many of us miss these simple truths, can’t see them or over complicate them. 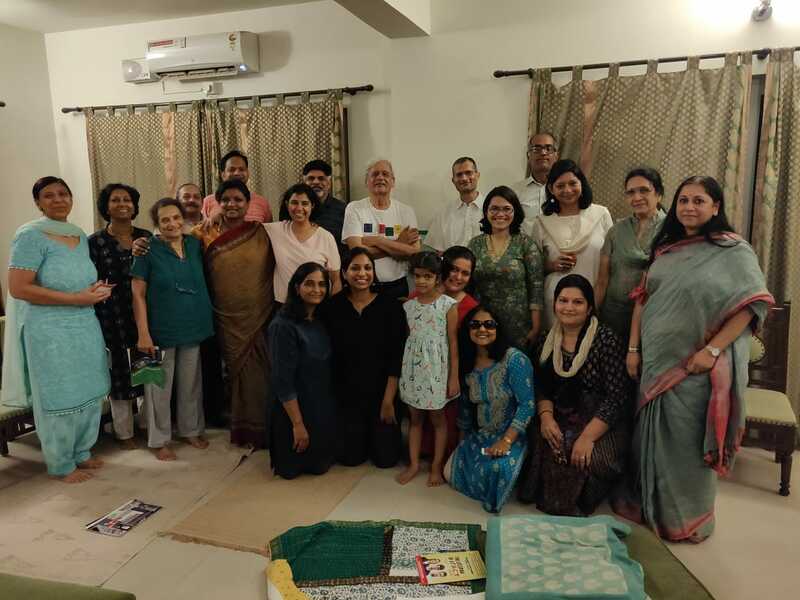 This was the feeling I walked away with on the evening of 4 October, 2018, when Nisha Srinivasan talked us through some of the simple truths of health; presenting the profound, with the pragmatic. 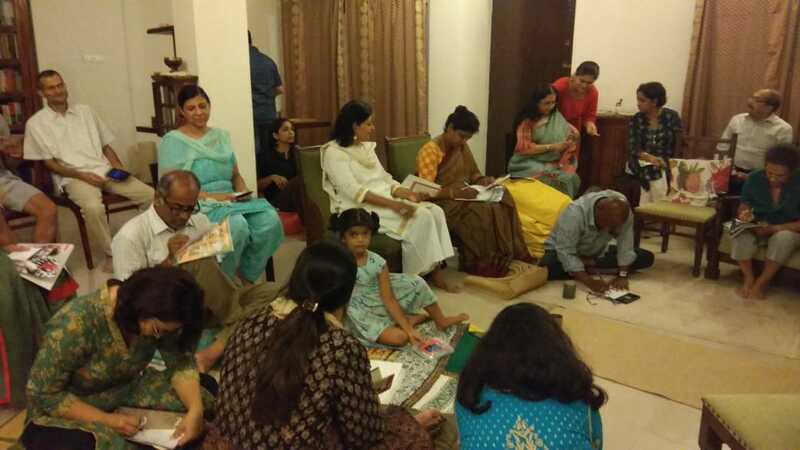 Having been friends with the host family of Suchitra, I had seen first-hand the advantages, especially in their practice of Nature Cure or Life Natural and its principles with their six year old daughter. Seeing them as examples of healthier living and leveraging the vast benefits of nature rather than mainstream medicine was proof. This, coupled with growing disillusionment and horror at the ineptitude and attitude of the pharma industry and ‘health care’ practitioners proved catalyst to look for alternate approaches ‘Towards better Health’. As children we’re all born with a ‘knowing’; we know when we are sleepy, hungry, thirsty etc., and we honour these feelings. You cannot force a baby to diet, or stay awake to play a little longer any more than pee because there will not be a clean toilet for miles! But as we grow older, school time-tables, professional responsibilities, societal norms, politeness and conditioning wear away at this. While most of us knew of the five elements (air, fire, water, earth, space), how they apply to better health was a point of much discussion. Breathing effectively, pranayama before meals, surrounding oneself where possible with clean, fresh air, ensuring sun-basking in early hours, drinking water mindfully, eating fruits and vegetables with ‘cohesive water’ (water-rich fruits and vegetables) all explained the air, fire and water elements but the group spent more time discussing earth and a lesser known concept of ‘space’. The concept of ‘space’ proved to be one that sparked a lot of discussion. Most of us eat meals at designated times or even when we’re not hungry because it’s part of a routine, thus overloading our systems and creating an unhealthy ‘excess’ which then leads to so many issues. Ensuring that we give enough space between meals, or better still eat only when hungry, or within a specified window, allows for better digestion and frees the body to focus on other functions of healing, repair and rest rather than constantly being caught up in a cycle of digestion. This led into the concept of vitality of conservation of vitality. “Think of vitality as a non rechargeable battery we are born with,” Nisha suggested, “it has a finite capacity”. But the quality of our life will depend on how well we treat it, how often we tune it and if we’re neglecting or misusing it. Further clarifying she went on to say that in our race to maintain a ‘lifestyle’ we tend to allow the ‘style’ aspect to overpower ‘life’. Eating fancy food, exercising for achieving a supposedly desirable size and look, etc., are all things that tend to detract from health and healthy living as opposed to nurturing it. After discussion of each principle, participants took time to reflect on their understanding of the principle and one or more practices that they would like to integrate in their life pertaining to that principle. Personally, my most valuable takeaway was a better understanding of the principle or Law of Unity; across mind, heart and body. I realised that food is both nourishment as well as medicine, and making efforts to align with our environment and nature and avoiding all that created a dissonance would lead to better health. Mentally and emotionally understanding all these concepts, and extending them to others around you would also perhaps make you a better person. It is statistically proven that the quality of your relationships improve the quality of your life, so this unity or building of connectivity should ideally apply to people, strangers even and most importantly with your body, with whom you will have the longest and most intimate of relationships.